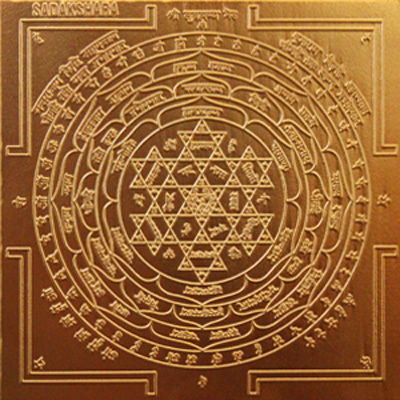 Sadakshara Yantra - Boost your Courage and Determination Forces! Why Sadakshara Yantra? Courage, Confidence and Charisma are the 3C’s that will drive you towards victory. In your adventurous journey of life, suddenly you might feel exhausted or you might lack the determination to move forward, and this is when you need divine help to revitalize your spirits. Sadakshara Yantra is the energized tool of Lord Muruga that recharges your determination and courage factors to attain the peak of success. Lord Muruga is the personification of courage and determination; he will guard you against your enemies and ingrain the seeds of perseverance and resolute boldness within you. Your struggles will come to an end when the Sadakshara Yantra is at your side. Your dedicated prayers to this Yantra will motivate you to work hard, and you will be gifted with the qualities of will power and persistence. With will power and determination, you will be able to fulfill all the desires of your life. Crown yourself with the 3C’s! How to Use the Sadakshara Yantra ?